Alcohol is a component of the formula in Stomahesive paste and should be noted as it can cause stinging in raw/denuded skin. Stomahesive paste is not an adhesive. The role Stomahesive paste plays is that of caulk. It seals the border of the ostomy skin barrier to keep stomal output from contacting the skin. Using Stomahesive paste can help you get the best fit possible. 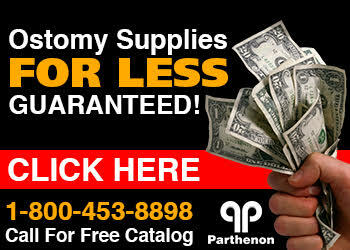 Stomahesive paste can be used on all types of ostomies. Application is either directly to the skin or on the skin barrier / wafer. 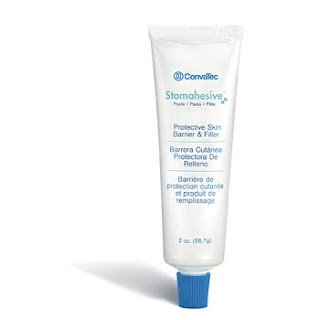 Stomahesive paste is pectin based and protects skin as well as fills in uneven crevices to create a flat surface for the ostomy pouch. The amount used to circle your stoma is about equal to the thickness of toothpaste that fits on your toothbrush. Be sure to screw on the cap after using Stomahesive paste because it will harden and be useless if left exposed to air for extended periods of time.